With over 3,000 years of continuous clinical history, acupuncture is among the most robust medical systems in the world. In 1999, the World Health Organization (WHO) convened an expert panel of acupuncture researchers to comprehensively review controlled clinical trials, and to list conditions for which there is scientific evidence of acupuncture’s efficacy. The report entitled Acupuncture: Review and Analysis of Controlled Clinical Trials was published in 2003. Conditions which are long-standing may take longer to resolve than conditions arising recently. While a practitioner can never promise a particular outcome, the vast majority of patients experience notable improvements with acupuncture. Acufinder.com has short, informative articles on many topics of interest to acupuncture clients and people considering acupuncture. 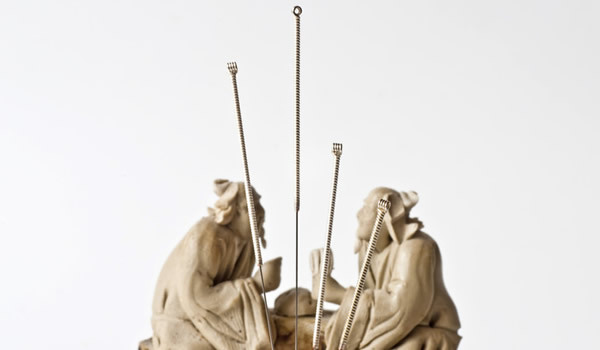 The National Institutes of Health (NIH) web site is an excellent source of detailed, up-to-date information on acupuncture at http://nccam.nih.gov/health/acupuncture/. The Maryland University of Integrative Health (formerly thethe Traditional Acupuncture Institute) offers diverse learning opportunities at www.muih.edu, including acupuncture, herbal medicine, nutrition and integrative medicine, and transformative leadership and social change. In addition to accredited graduate degree programs, engaging seminars and courses for the interested public are offered. I would be very happy to answer any questions you might have about acupuncture. Just call or e-mail! For information on what to expect in a course of acupuncture treatment, CLICK HERE and you will be taken to Office Visits.